An ancient yet flexible cis-regulatory architecture allows localized Hedgehog tuning by patched/PTCH1. eLife 5:e13550 (2016). *Co-first authors; +Undergraduate co-authors. How to tune an enhancer. Proc Natl Acad Sci U S A 113(23):6330-1 (2016). Identification and validation of novel Hedgehog-responsive enhancers predicted by computational analysis of Ci/Gli binding site density. PLoS One 10(12):e0145225 (2015). *Co-first authors; +Co-corresponding authors. Current Biology 24: R695-697 (2014). Gene regulation: When analog beats digital. Current Biology 23: R1054-1056 (2013). Low-affinity transcription factor binding sites shape morphogen responses and enhancer evolution. 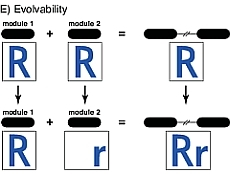 Philosophical Transactions of the Royal Society B, theme issue on “Molecular and Functional Evolution of Transcriptional Enhancers,” 368: 20130018 (2013). Evolution of gene regulation: Hybrid networks breed diversity. Current Biology 22(23): R1009–1011 (2012). 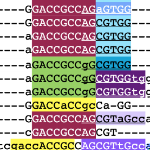 A model of spatially restricted transcription in opposing gradients of activators and repressors. Shadow enhancers: frequently asked questions about distributed cis-regulatory information and enhancer redundancy. Sparkling insights into enhancer structure, function, and evolution. Current Topics in Developmental Biology 98, 97-120 (2012). Rapid evolutionary rewiring of a structurally constrained eye enhancer. Current Biology 21(14), 1186-1196 (2011). [cover image] -Featured in a Dispatch in Current Biology, 26 June 2011. The cis-regulatory logic of Hedgehog gradient responses: Key roles for Gli binding affinity, competition, and cooperativity. Science Signaling 4(176), ra38 (2011). [cover image] -Featured in a "Perspective" in Science Signaling, 7 June 2011. Using the game of Mastermind to teach, practice, and discuss scientific reasoning skills. PLoS Biology 9(1), e1000578 (2011). -Selected as an "Editors' Pick" by PLoS Biology, 18 Jan 2011. Structural rules and complex regulatory circuitry constrain expression of a Notch- and EGFR-regulated eye enhancer. Developmental Cell 18(3), 359-370 (2010). -Selected as a "Must Read" by Faculty of 1000 Biology. -Selected as a Science Editors' Choice, 16 April 2010. 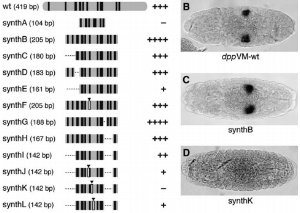 Reverse-engineering a transcriptional enhancer: a case study in Drosophila. Tissue Engineering 14(9), 1549-1559 (2008). The chromatin remodelers ISWI and ACF1 directly repress Wingless transcriptional targets. Developmental Biology 323, 41-52 (2008). A directional recombination cloning system for restriction- and ligation-free construction of GFP, DsRed, and lacZ transgenic Drosophila reporters. 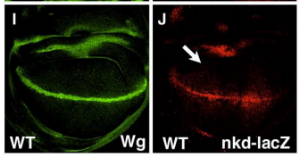 Regulation of the feedback antagonist naked cuticle by Wingless signaling. Developmental Biology 321, 446-454 (2008).